It’s a beautiful day here in Boston. It’s a winter (almost spring-time) wonderland. 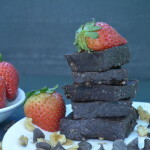 The streets are quiet and it’s a perfect day to make my favorite gluten free, no bake brownies. They are so easy to make. The require no baking at all. 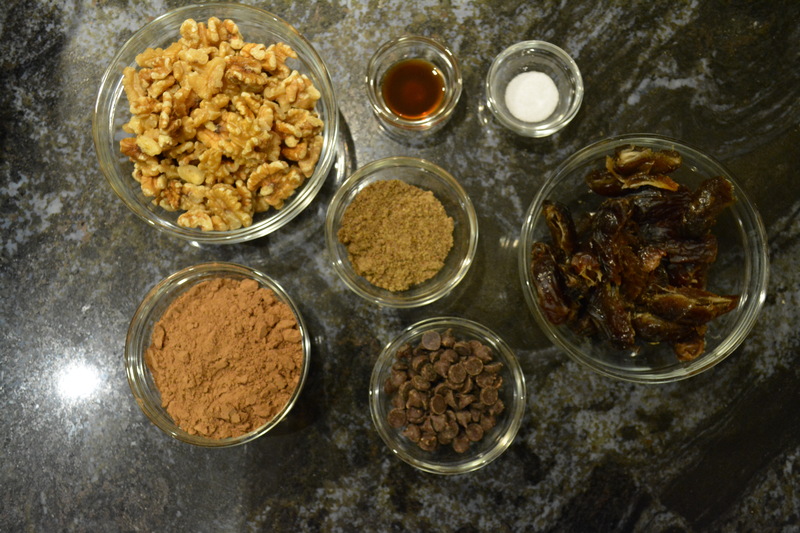 All of the ingredients except the chocolate chips, are mixed together in a food processor until a unified mass is formed. It will look something like this. If your mixture doesn’t come together like this, your dates might have been a little less moist than mine. You can add a little maple syrup, brown rice syrup or agave and process the mixture a bit longer until it comes together. Once it does, use the back of a spoon or a pastry roller to press the mixture into a 8 x 8 inch pyrex dish. Place the dish in the freezer to firm up for an hour or so and then remove and cut into 16 even brownies. These can be kept in an air tight container in the fridge or freezer. 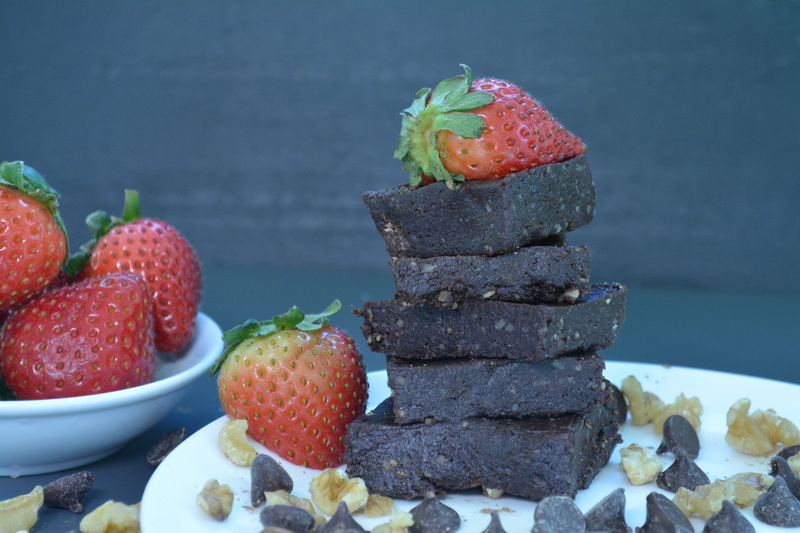 Here is a video showing the preparation of the brownies as well as a discussion of the nutritional content of these brownies vs a non plant-based brownie. 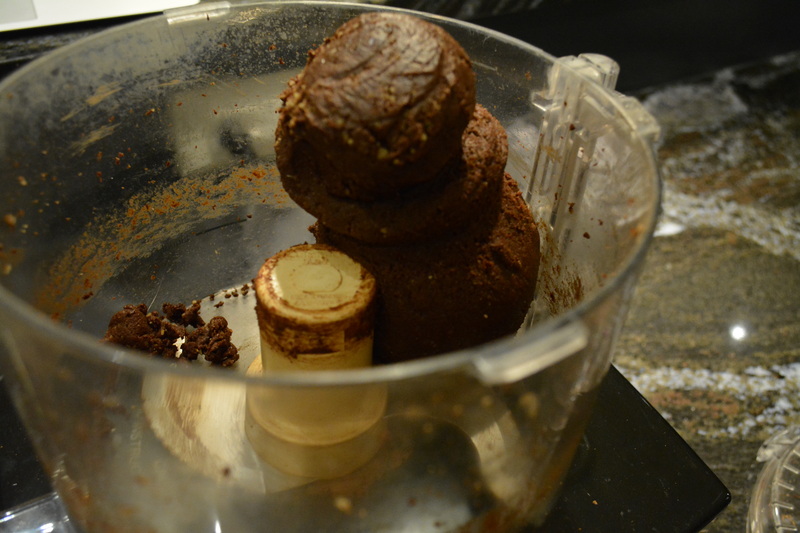 In a food processor blend all of the ingredients, except the chocolate chips, until well combined and sticky. If the mixture does not come together into one mass, add maple syrup, agave or brown rice syrup, 2 teaspoons at a time and process until incorporated. Repeat until mass is formed. Add the chocolate chips and pulse a few times until the chips become somewhat incorporated. Some pieces will remain whole and on the surface of the mixture. Press the mixture into an 8x8 baking dish. Use the back of a spoon or a pastry roller to smooth out and even. Freeze for about an hour until firm. Remove from freezer and cut into 16 even pieces.